August | 2016 | Footwear Fashionista … a sneak peek into my shoe closet! Comme des Garçons® Play low top sneaks are graphically amusing and quirky. 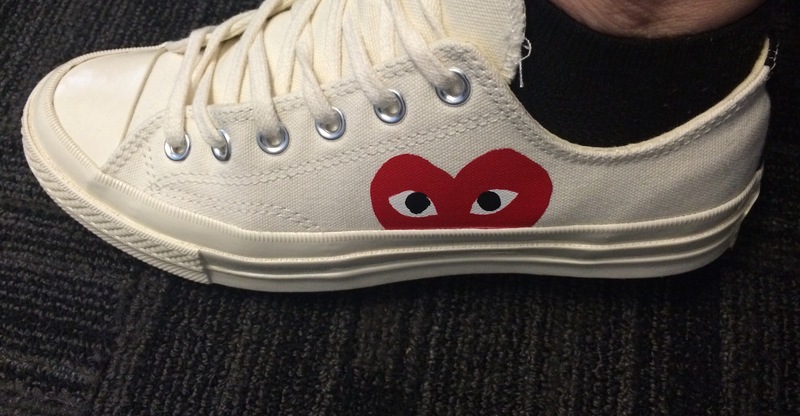 The heart logo is instantly recognizable on the white canvas Chucks. A colorful and imaginative collaboration between Japanese designer Rei Kawakubo and New York-based graphic artist Filip Pagowski. Guaranteed to make you smile. 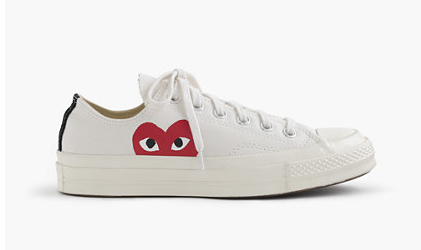 Pair them with your next outfit to take it to the next level of play.